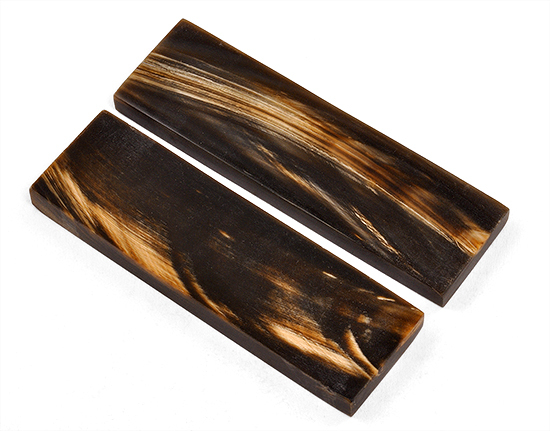 3/8" x 1-1/2" x 5" (honey streaked) Honey water buffalo horn scales, these scales are available in 4 colors; black, black with white streaks, honey color with streaks, and red with black streaks. The water buffalo scales vary in dimension a little. They sometimes warp and twist. This can be corrected by heating them in boiling water and using clamps to flatten or bend them. G10 Silver Twill 6" X 3" X 3/16"